All vehicles with approved credit plus tax, tag, title, license, dealer and doc fees. Bonus items are provided by dealer and cannot be exchanged for cash value. Restrictions apply, not all may qualify. See dealer for details. Expires 11/27/15. 2015 200: Stk# C1264. 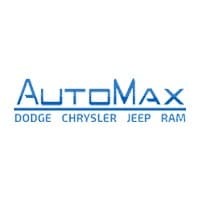 All vehicles with approved credit plus tax, tag, title, license, dealer, doc and additional fees. Not all buyers will qualify. Take retail delivery by 11/27/2015. See dealer for details. 2016 Cherokee: All vehicles with approved credit plus tax, tag, title, license, dealer, doc and additional fees. Stk# J1944. Excludes SRT models. 0% APR financing for 60 months equals $16.67 per month per $1,000 financed for well-qualified buyers through Chrysler Capital regardless of down payment. Not all buyers will qualify. Take retail delivery by 11/27/2015. See dealer for details.